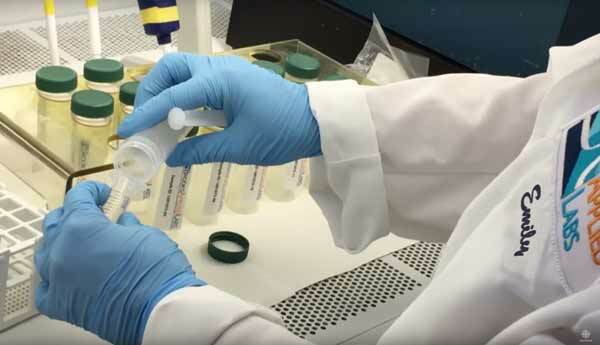 Brooks Applied Labs was recently mentioned in a Canadian Broadcasting Company news segment on their investigation into arsenic concentration of baby foods sold in Canada. BAL performed the testing which showed some baby foods contained inorganic arsenic above the US FDA guideline and the EU regulatory limit of 100 ppb. While minimizing exposure to this harmful element is beneficial to people of all ages, it is especially important for infants due to their smaller size and proportionally larger calorie requirements. Our testing showed some baby foods contained inorganic arsenic above the US FDA guideline and the EU regulatory limit of 100 ppb. Read more about the CBC Marketplace investigation here, or watch the full news program here. Compared to other grains, rice is known to contain higher levels of the toxic and carcinogenic element arsenic. But the arsenic concentrations and the proportion of the more harmful inorganic arsenic forms can vary widely in rice depending on a number of factors, including where the rice is grown, the growing conditions, and how it is processed after harvesting. Quantifying the more toxic inorganic arsenic forms via speciation analysis, which Brooks Applied Labs has been performing for decades, is therefore necessary to assess arsenic-related risks due to rice consumption.